« Two Gray foxes rehabilitated and released back into the Wild at Woodford Cedar Run Wildlife Refuge, in Medford, NJ. 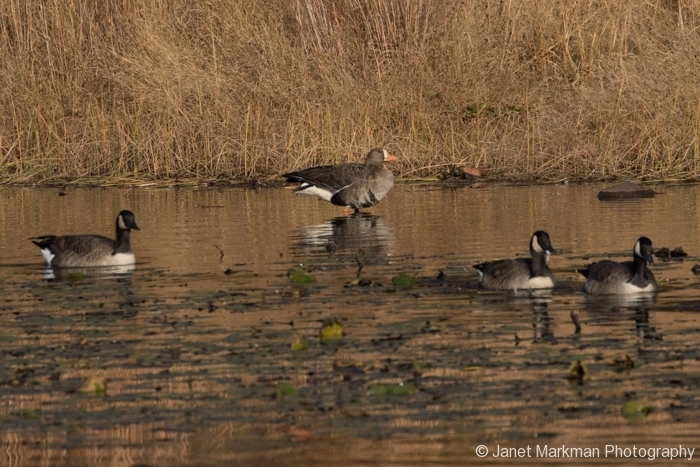 This past November, a Greater White-fronted Goose (Anser albifrons), normally seen West of the Mississippi River, made an unexpected appearance at Garret Mountain in Woodland Park, New Jersey. On November 2, 2016 I went to Garret Mountain to view the fall foliage. I was walking around Barbour’s Pond taking in the fall colors, observing the arrival of the Juncos (Junco hyemalis) and White-throated sparrows (Zonotrichia albicollis), who will spend their winter at Garret Mountain, before returning to Canada to breed in the Spring. As I was walking I heard a loud splash, turned toward Barbour’s Pond, and saw a flock of 12 – 15 Canadian Geese (Branta canadensis) that had landed in the pond. Upon closer observation I noticed that one of the birds was not a Canadian Goose, but a Greater White-fronted Goose! 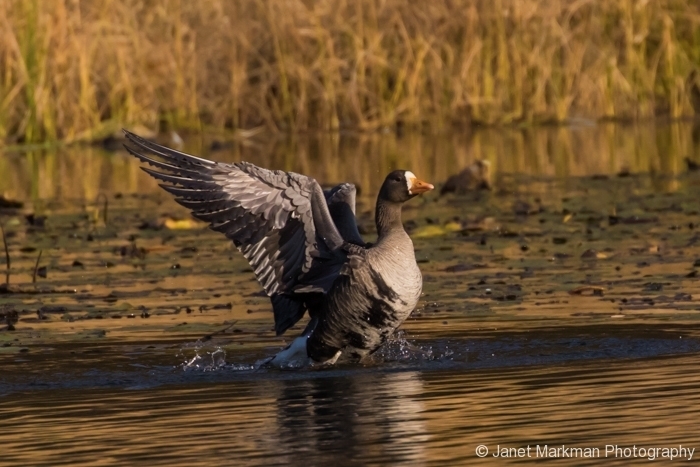 The Greater White fronted Goose breeds in the Tundra regions of Alaska, Far Northern Canada, Greenland, and Russia. While it also has one of the largest ranges of any species of goose in the world, in North America, however, it is almost always seen west of the Mississippi River, migrating along the Pacific flyway (which runs along the Pacific coast), west of the Rocky Mountains, and the Central flyway (which runs over the Great Plains), and east of the Rocky Mountains. A “flyway” is the term for the migratory route taken by birds allowing them to get from their winter feeding grounds to their summer breeding grounds, and back. Our curious visitor – Greater White-fronted Goose – normally winters in the coastal marshes, wet meadows and freshwater marshes of California, Mexico, Texas, and Louisiana. 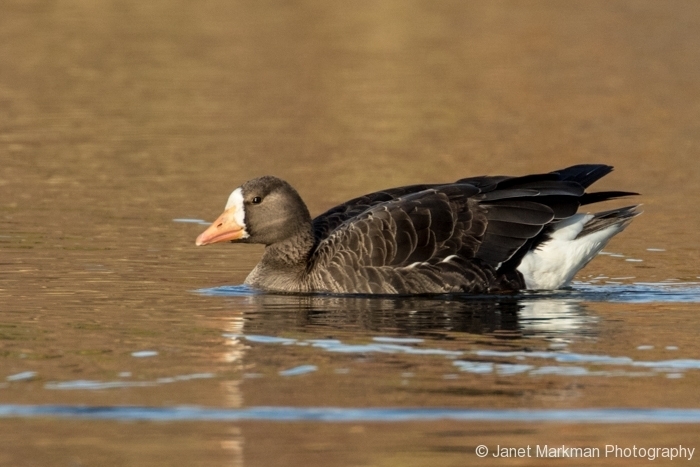 The Greater White-fronted Goose that breeds in Greenland usually winters in Ireland and Scotland but occasionally turns up on the East Coast of North America. It is always exciting to spot the appearance of a bird not normally seen in this area. Moral of this story: never ignore a flock of just common birds, for you’ll never know what special guests you might also find!